New type of air heaters with a wood burner flame reverse. Up to more than 5-6 hours with a full of wood. 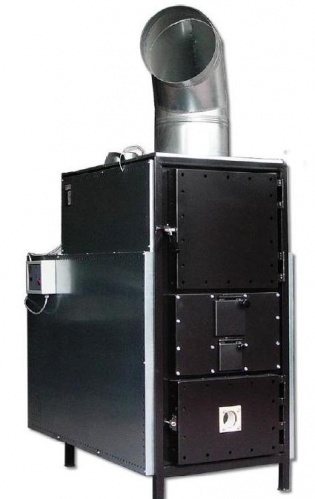 Suitable for heating large areas with very low costs. Combustion chamber made of stainless steel for maximum durability. Power range from 50 to 235kw. Price for model 80kw.